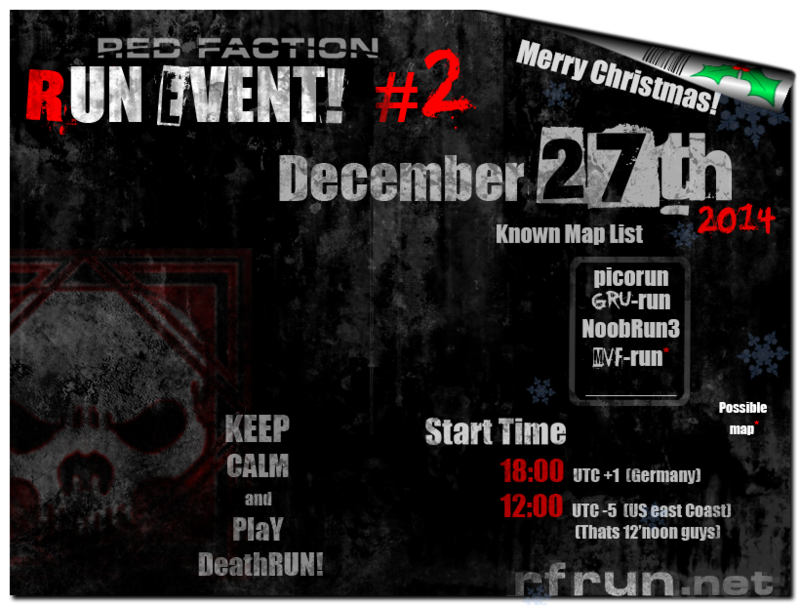 Faction Files - View Thread - Run Event December 27th! Faction Files :: Forum :: RF General Discussion :: Run Event December 27th! Hope to see you there! Questions anyone? What is pico and mvf run, cyrus maps? Pico is digi's map. MVF is cyrus's. Another run rally ? Should've known by the hunch. Well, hope to see you guys again out there. That will be in DM-RUN-LIKE-HELL V2... textured of course and at CP 12, good luck!! Muajahahaha! the things I do for you ice! Tell me, who has a 3 digit IQ? Who is qualified to Host? What do you mean phil??? Its Phil, he made his account today, and did you read the other thread he started?